""The gentleman that did our work was very professional." The gentleman that did our work was very professional. Did a great job cleaning up after himself. We have a sinking floor that doesn't seem to be getting adequate support from the basement. 32 inch high crawl space needs a sump pump pit dug wired and connected to a drain. Crawspace and possible foundation support. I have a bi-level that gets water in one corner of the bottom floor when it rains a lot (like last night). I also have some other issues you guys may be able to help me out with. I have a concrete block basement with water leaking in the northeast corner. The cores of the block are full of water and holding water. I've drained them and patched the block. The gutters and downspouts are always clean and working. I don't know what else to do. "The crew members (John, Mike, and Parry) were professional and informed me of all the phases of the project. They were able to answer an questions I had throughout the works. I was pleased with the finished job." Nova Basement Systems is committed to customer service and is proud to serve our area. We have a professional team of technicians that are ready to help you find the best solution using quality products from the best manufacturers in the business. We want to work with you so that you can have the best results for your home! Though they are one of the more neglected areas of the home, a crawl space that falls into disrepair can have significant affects on the foundations of the home. Don't let small repairs turn into a huge project and call the experts at Nova Basement Systems. We can install products from our crawl space encapsulation system like vapor barriers and thermal insulation to keep your home clean, healthy, and energy-efficient. Mold and wood rot can be detrimental to the structural integrity of wooden support beams, especially in crawl spaces that are prone to humidity and dampness. Once wood rot takes place, it can expensive to replace the wooden supports, which is why you should make sure to have you home checked by professionals so that they can catch the problem early and fix it. Troubles with basement waterproofing usually stem from leaky pipes, sump pump failure, or flooding during heavy rainfall. Once water damage becomes a problem, it's important to call in professional help because the longer you wait, the worse it will get. We offer a variety of excellent waterproofing products including waterproof wall panels and sub floor matting. Additionally, we can install the TripleSafe sump pump which is uniquely designed to be an effective way to clear your basement of water quickly and easily. 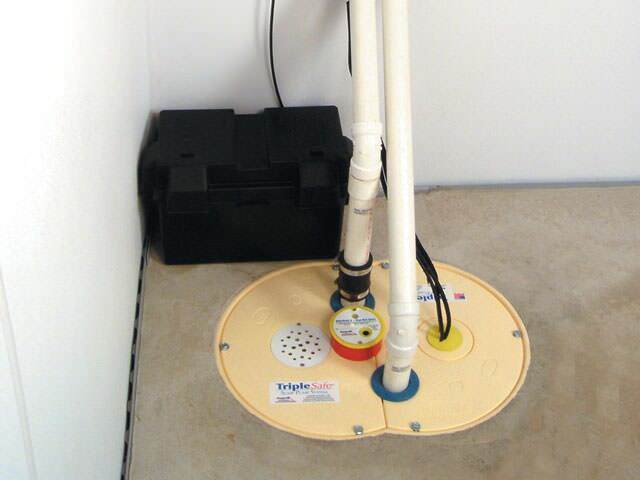 The TripleSafe sump pump has a primary and secondary pump as well as a third, battery operated backup pump so you can always have the peace of mind that it is working hard to keep your basement dry. Nova Basement Systems has the tools and the expertise to get your project done right the first time. Trust our knowledgeable staff and professional technicians to find a solution for all your foundation and basement needs. Call us today for a free estimate! We have a crack in our foundation that is leaking. We have located the leak to a seam in the poured walls. I have a dirt crawl space with limited headroom in various places. I would like to remove old plastic and insulation pieces. We are thinking about purchasing a home but I would like to see how much it would cost to fix foundation before getting inspection done. We have a leaky basement. If we get more than 2 inches of rain the basement leaks. We have a wet basement, leaking in through chimney clean out. We have a house in Logansport, IN that we need an estimate for sump pump and channel piping. Please call so we can schedule a time to provide an estimate.